There are still beautiful blooms to be found. 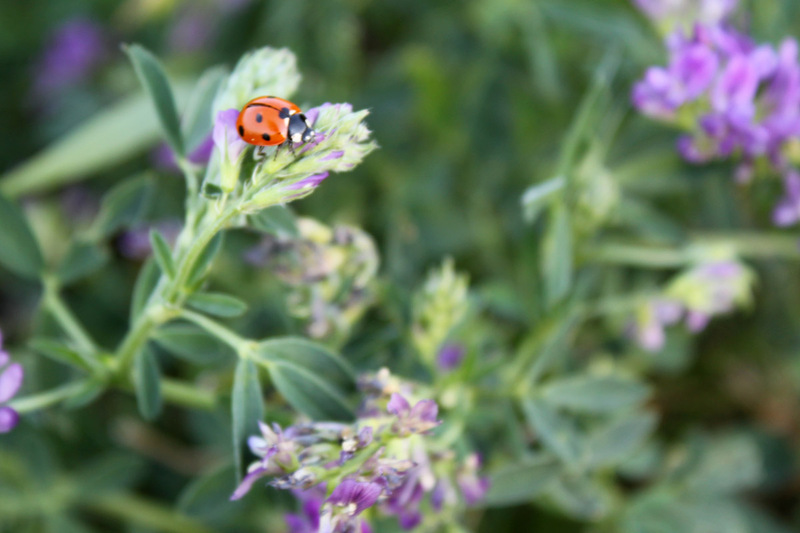 Not only was a treated to some beautiful lavender blooms on alfalfa, but a ladybug as well. Simply beautiful. We found a ladybug nest in one of our evergreen trees. Never saw that before, but just couldn’t get a good photo of it. This entry was posted in My Photos and tagged alfalfa, ladybug by Karen Grosz. Bookmark the permalink.